Oishii Boston located in the South End SOWA district, the most artistic area in Boston. 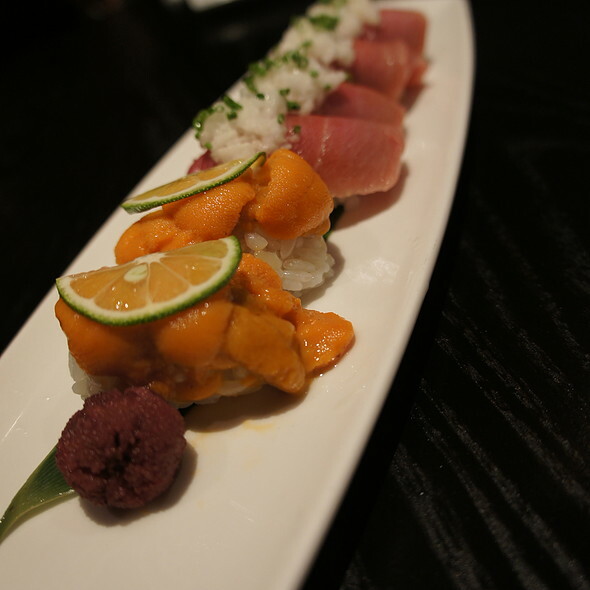 Oishii Boston is devoted to providing the most wonderful dining experience to every customer. Chef Ting San is dedicated to combining every dish with the freshest ingredients and creativity, to transform a dish into a work of art. We want our customers to have a fabulous dining experience for all occasions. 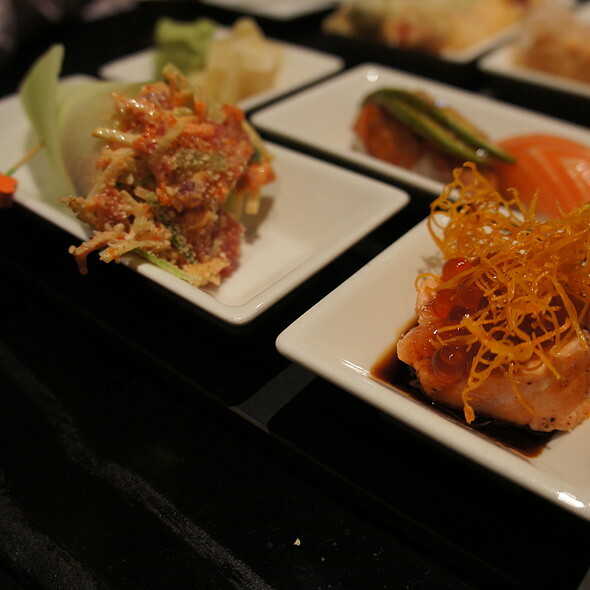 We serve the most delicate wine and sake in our contemporary Tokyo style lounge. The dining room is elegantly decorated for a comfortable atmosphere to complement a magnificent meal. Absolutely great service, our server was attentive and at some point the chef came over and checked in on us also. The food was okay, there was nothing special about it which was disappointing. Had the lobster dumplings (which were really ragoons), lobster maki (also okay) and spicy edemame (which I hated). It's a little spendy, but very delicious. Would recommend. Overall the food was good, NOT great but every good. The presentation is very nice but the most spicy item to us was really not spicy at all, almost bland. I would expect flavors to pop. The best choices were the lobster options. My husband and I have been dining at Oishii since it opened in the South End, and we are always delighted with our experience. The service, atmosphere and, of course, the food are excellent. Chef Ting's creativity shines in every way, from the special dishes to the flowers and now the cherry blossom tree he made himself. In short, we love Oishii! Salmon on fire is outstanding. 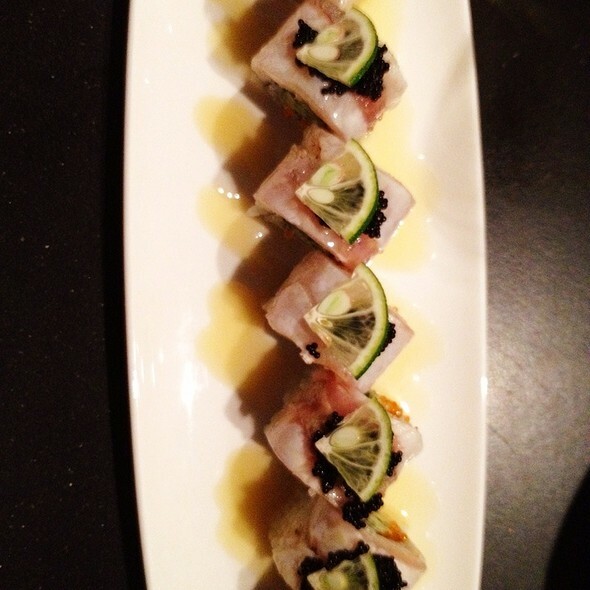 Mango tuna roll with lime was one of the best ever. Toro prosciutto was sad and small. Service was impeccable with great attention to my wife’s allergy. Very delicious and wonderfully playful and creative presentations for everything. A must try. Too bad they don’t enforce a dress code. Too many young college aged kids dining with sweatpants, hats and just looking out of place. Keep it classy. Just fantastic in every way. The absolute best sushi - anywhere. And they have a nice menu for people who don't eat sushi. We had a great time here. We got seated right away. Service was good thought it started to lag a bit at the end. We sat around for quite a bit before we were able to order dessert and then had to wait more before our waiter came back when we wanted the check. The food was amazing. Very unique and great variety. It is expensive, but we are very glad that we ate here. 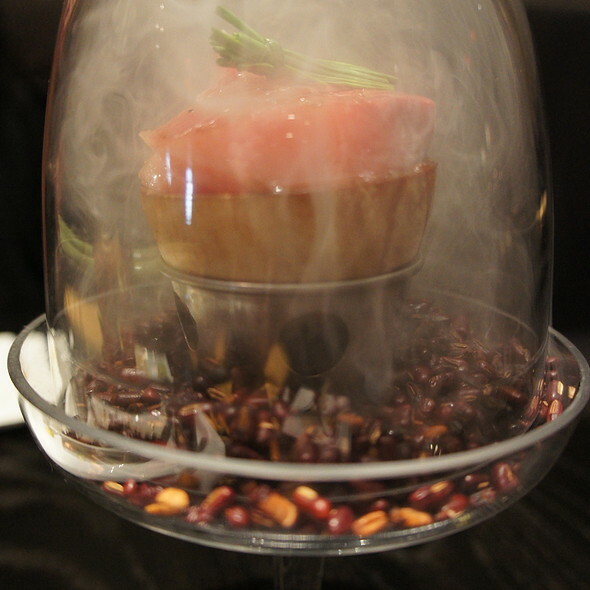 We recommend the salmon on fire, uni pasta, and lobster dumplings. The ambiance was really nice- we sat in the room with the sushi bar. 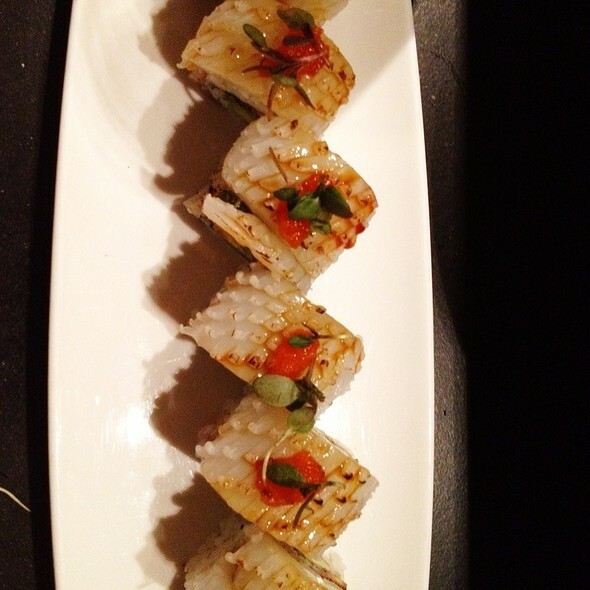 The one sushi roll we had (spicy crunchy roll) did not blow us away. It was really nothing special. Overall we recommend this place and would come back if we’re ever in Boston again. It’s perfect for date night. We’d love to try the ramen and the squid in pasta next time. Creative & delicious food. Wonderful presentation & fabulous taste profiles. Highly recommend. Best Sushi in Boston !!! Excellent sushi. The restaurant is divided into several small rooms with tables. Very nice decor. Next time I’ll sit at the sushi bar. Amazing everything. First time visit and will return as regulars when I move to Boston. No regrets and great price for great quality. Our experience at Oishii was wonderful. 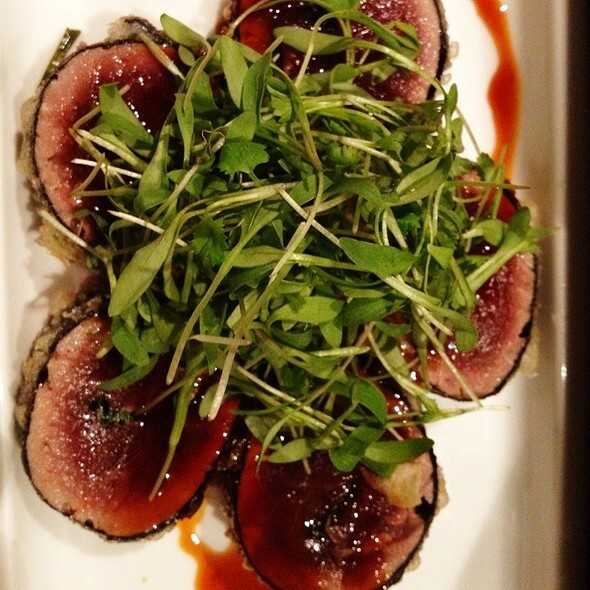 The food is easily the most creative and flavorful sushi in all of Boston. The waitstaff was helpful in ordering and were spot on with their suggestions. We will definitely continue to partonize this restaurant. There were too many appealing menu items to try them all in a week of dining. My regret was inadequate time and budget to sample more. Everything was nicely prepared and fanstastic, though pricey. Six of us went to savour the best Japanese cuisine in Boston. We loved it!!! Food, service, and ambience all spectacular. I have no complaints at all! Excellent and unique cocktails too. Best sushi I’ve ever had! Everything is great except for uni pasta which tastes like quick noddles. Great service and everything we ordered was outstanding quality, presentation, and taste. We had the truffle edamame, Tuna tartare, and lobster dumplings for appetizer, followed by an order of sashimi and a couple of the speciality maki rolls. A great night out. Oh my gosh, I don’t even know where to start. But I will keep this shirt and sweet. Ambiance was simply elegant. Our server Nikki was very knowledgeable and helpful and made our celebration very memorable. The food was exquisite. I’ve been going to Oishii too in Sudbury for years and had high expectations for Oishii Boston. They came in above and beyond our expectations. A wide variety of interesting dishes. Those we tried were excellent. Food and service were exceptional. Comfortable and modern atmosphere - not pretentious. Highly recommend - great for special occasions. A great low key restaurant for date night. The sake selection was amazing and the wait staff were very helpful. We’ll be back soon! Dinner was disappointing for value. Fish was very fresh but garnishes were underwhelming. Did not order the right things-- perhaps that was the problem (ordered the chef's sampling sushi menu). We were doing a three part gallery show, sushi and concert at Jordan Hall, traveling to and from car at office in Somerville. Fortunately the concert at Jordan Hall was a free diploma recital. So we had no compunction for sushi at Oichii! We are experienced sushi consumers; my first sushi was in 2964 as an exchange student. The diversity of the menu was fun; a real chance to sample beyond our normal fare. Loved the idea of real rock crab. Had the dumplings, plus the Ting Garden dumplings. Enjoyed our light Sunflower wine in lieu of beer or jot sake. But don’t fill up on the basic courses !! Save room for the over the top taste and visual presentation of their desserts. Because we had time to kill before our 8 pm concert we had hot tea and the coconut lemons Herbert sphere with coffee mousse and the black sesame bonbon in a chocolate chalice with a tall spun sugar bottle cover. Mind boggling experience. Everything was great. Food was like art. Interesting menu. Not much on the walls too look at, but it's simplistic and helps with the ambiance and focus on the dishes. I love this place for special occasions but I only wish that smaller parties could be seated in quieter areas. You’re right next to other diners and the kitchen as opposed to downstairs where it’s much more serene and enjoyable. The food was amazing. Our waiter was great. We loved the atmosphere. Amazing food! Have to try the wagyu sliders! Our server was very attentive to the one hour we had to choose, drink and eat. Everything was very timely, delicious, and we made it to the theatre with a couple of minutes to spare! I will definitely be returning! P.S. who would’ve thought to put truffle oil on edamame? Oh, you guys, and it’s so good!! Vastly overpriced. Food was nicely presented, and fish was good quality, but not worth paying double what I can pay at a local place for essentially the same quality of food. Atmosphere was noisy and uncozy with bad music choices. Service was inattentive. Not worth it, would not go back. Great food and friendly and attentive staff! I would highly recommend. Creative plating, extensive menu marred by somewhat soft technical execution. Sourcing was rather mediocre, the sushi rice was a bit “soggy”- we did love the shitaki roll and the scallop roll was perfectly crispy. It seemed a bit more grounded in hype than serious food. Food, service, ambiance, and general experience were all great! 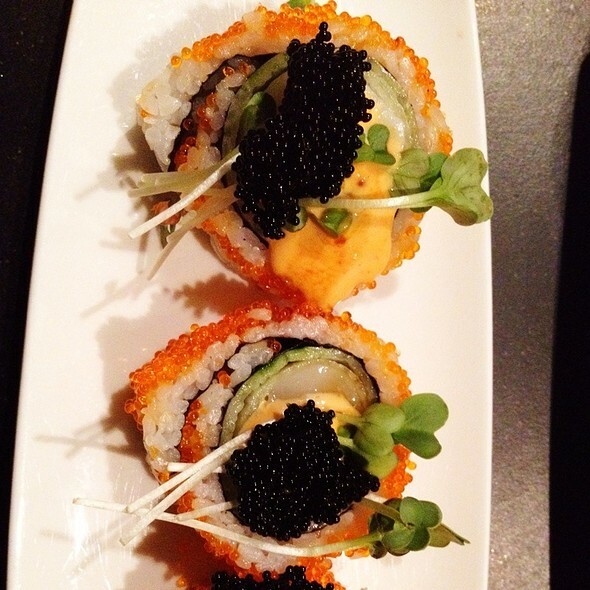 If you don't mind the high price, then you definitely need to try Oishii.